Every year, Nation’s Restaurant News publishes Consumer Picks. In a nutshell, it is survey work to determine consumer’s thoughts around top brands. One thing sticks out heavily this year: A conversation around Loyalty vs Convenience. 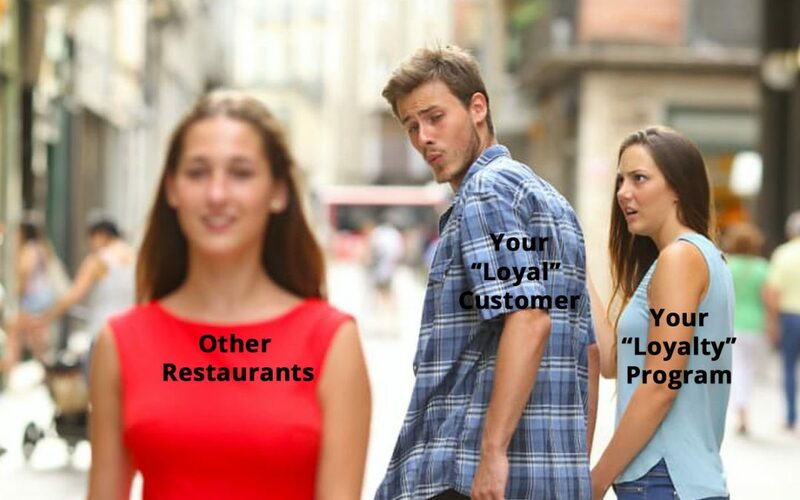 Loyalty is a hot topic and always is with restaurants. Loyalty apps and loyalty programs are a must in today’s restaurant world. With that said, I think the promise of a loyalty program and what it delivers is misleading. And, it starts right in the name (I’ll get back to convenience in a bit). A loyalty program is meant to engage consumers and use a brand more. Brands want a consumer to be more loyal to them. In reality, the program is rewarding a consumer for a behavior (buy something, gain points, get something for free when you buy enough). There is no loyalty being built. 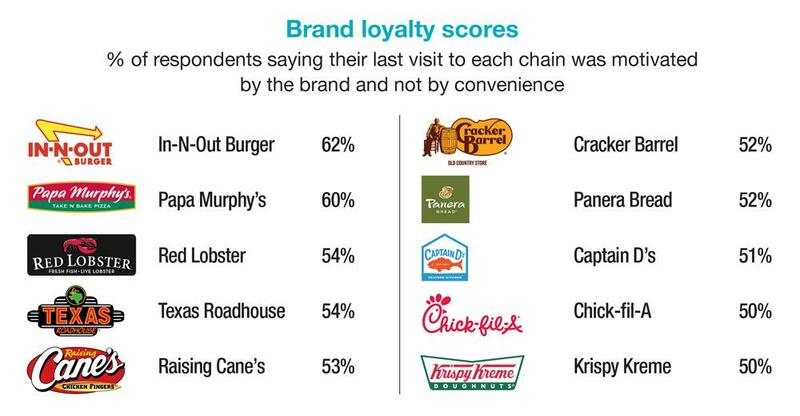 Consumers are members of many ‘loyalty’ programs across many restaurant brands. Consumers consume across many restaurant brands. A reward may make them more likely to choose you, but building true loyalty it is not. The second you slip up or alter the reward, people will choose you less frequently. To tie this back in and get back to why loyalty is an issue, something still trumps loyalty when you ask consumers as there are many factors that influence consumer purchasing behavior. For 116 out of 126 brands included, 50% or more of respondents say their last visit to the restaurant brand was motivated by convenience and NOT by loyalty. Whoa. Consumers have spoken (and as marketers, since we need to think more like consumers, we shouldn’t be shocked if we slow down and think about it). Convenience is still king. Loyalty is tough to come by in a consumer’s mind and maybe not all that important. Rewards Programs definitely help. But, to increase loyalty, we have to think about things differently. Scrap that. To increase frequency, we have to think differently and ACT differently. Consumers cheat on brands constantly. But, we as brands and marketers place a HUGE emphasis on ‘loyalty ‘programs. They are certainly important and drive great revenue. But, thinking that having a loyalty program in place will create a steady flow of traffic is going to leave your brand high and dry in terms of growth. And, talking yourself into consumers being ‘loyal’ when they cheat on you so much will just put you in a dark place. Instead, use rewards programs to grow frequency, gather more data on what defines your best customer, inform other marketing decisions to non-members, and actively pursue more than just your current members. Most importantly, being in front of target consumers consistently around your locations (and not just loyalty members) will help your brand be top of mind and much more likely to be convenient when the time is right. That way you’re filling your funnel, and have a chance to get new guests into the rewards program since it is so cost efficient in terms of marketing cost. Don’t just put blinders on and chase loyalty because you should. Especially when most consumers don’t care enough about ‘loyalty’ in the end. They want choices, deals, rewards, quality, and convenience (among a boatload of other things). Offer as many of those as you can and you will win more often than not. A ‘Loyalty’ Program is a huge part of the puzzle but definitely not the whole picture. Don’t listen to me. Your consumers are saying it. **After writing, NRN corrected to show Whataburger and Pei Wei as 50% or more chose the brand due to loyalty to the brand. So, 12 out of 126 were above 50% in terms of consumers choosing the brand based on loyalty not convenience.